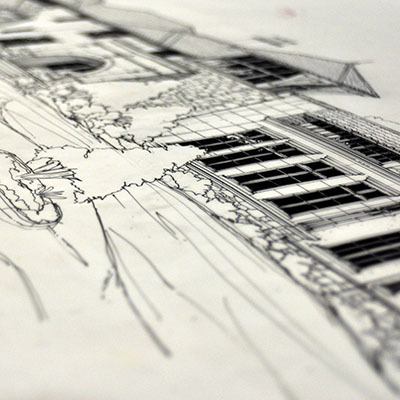 The Studio of Christopher Phelps shall provide Design Concept Drawings of the new home project as described in the scope of work. These drawings/sketches shall include all concept floor plans, all exterior elevation renderings, a preliminary roof plan, and a preliminary site plan. All square footage will be calculated. 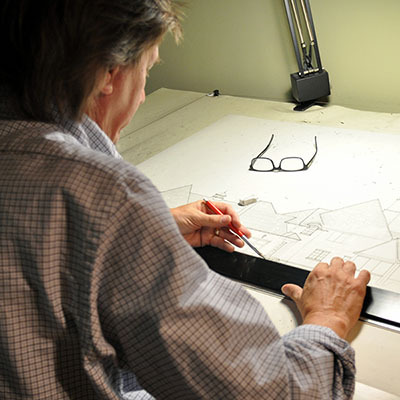 These design drawings will become the level of drawings submitted to the client as the process moves to completion. The Studio of Christopher Phelps shall prepare complete and comprehensive Construction Drawings to allow a residential contractor to secure all appropriate permits and accurately construct all aspects of the scope of work for the new home project. These drawings shall consist of architectural floor plans, foundation plans, roof plans, pool/spa plans (if applicable), site plan/grading plan, exterior elevations, exterior detailing, cross sections, wall sections as required, construction detailing of foundation processes, overhangs and fascias, interior architectural detailing, interior elevations and details, molding cuts and details, electrical floor plans, and complete general noting as required. A thorough and detailed set of structural drawings produced from a consulting structural engineering firm shall be integrated into the construction documents and shall provide all structural components and details for all areas of construction.